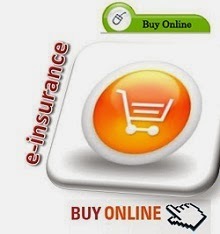 By the year 2020, the online insurance market in India will cross Rs 20,000, about 20-folds its current value of Rs 700 crore, according to a study conducted by Google India and Boston Consultancy Group (BCG). The report titled “Digital@Insurance-20X By2020" was released recently in Mumbai claims that as many as 3 out of every 4 insurance policies will be sold online by 2020. “The exploding popularity of smart phones and Internet has become a core part of life for many consumers across the globe and in India," the report said. “As insurers seek new avenues to grow profitably, they have a unique opportunity to embrace and benefit from the digital wave, which also addresses many key issues that plague the offline world today," it said. The digital way could result in potential savings of 15%-20% of total cost in the case of life insurance, and 20%-30% in case of non-life, said Mr. Alpesh Shah, a BCG Senior Partner also the author of the report. While online purchases represent a small component of insurance activity in India today, the overall influence of Internet on insurance product purchase in India is already 6-times and growing rapidly, said BFSI Travel Google India Industry Director Mr. Vikas Agnihotri.